WE'RE OPEN 365 DAYS A YEAR! Imagine getting out of your limo, the red carpet meeting your feet, and your favorite stars all around you… you adjust your tiara (yep! ), link arms with “name your favorite award winner here!” and you turn and smile for the assembled photographers… err… your adoring fans… we mean… your friends and family… who are all having a blast posing too! Each Hollywood scene gives you the chance to be star among the stars. Take selfies, dance with divas, mingle at an A-list cocktail party, pump iron with Hollywood heavyweights, and so much more. You’ll find the perfect props and accessories along the way to make your experience even more fun and your photos the best. 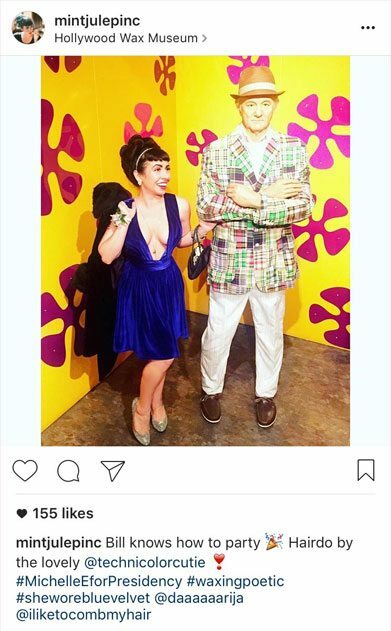 There’s seriously no denying the lifelike presence you’ll feel when you walk straight up to every expertly-crafted wax figure. And, you get to know more about the stars you love – their pets, pet peeves, side businesses, charity work, and more. It’s a brush with fame that will have you laughing together and feeling a bit exhilarated too. The world famous Hollywood Wax Museum is the most visited attraction on Hollywood Boulevard since 1965. Now, as you travel the United States, you’ll find us in four fun vacation destinations: Hollywood, CA; Branson, MO; Pigeon Forge, TN and Myrtle Beach, SC.